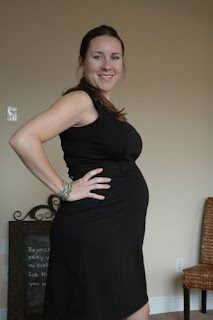 Jen Mirabile: 28 and 1/2 Weeks!! 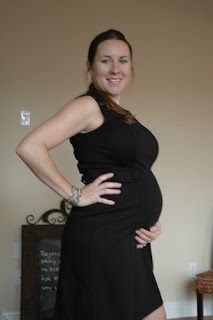 Here are a couple pics of me and my belly. You are still skinny as a stick - you look great. Hi there! Just stopping by from BlogHer headlines to say hi. The title of your post caught my eye because I'm also pregnant and a litle further behind than you are. I'm 26 weeks and pregnant with my third. I've got two girls, both with A names as well. We've decided to name this little girl an A name as well! Your preg pics are so cute! Can't wait to meet your princess! Wait...she won't be here yet when I'm there ion March 5th? will she?